Recently, the CFA Institute hosted delegates from societies around the globe to share details on the progress around their latest initiative, Societies 2.0. Representing the CFA MN Society, Board Members Tom Crandall and Kate Lyons joined Executive Director Mark Salter in Vancouver to learn more about this initiative and how it will add value to our members. As the name implies, Societies 2.0 is the Institute focusing on societies in a different way than the it has before. Recognizing societies are experts in their own market and understand their members best, the Institute is looking to support the societies in all their different and unique initiatives by promoting the highest standards in ethics, education, and professional excellence. In turn, this partnership will transform the society/institute relationship into a professional body rather than a group of test-passers. The CFA Institute has committed both financial and human capital resources in order to support the initiative. A key element to the success of this initiative is to reduce the volunteer burden and increase operational consistencies at the society level. Beginning this year, the societies will begin to receive increased funding that can be used to reinvest in the society infrastructure. Externally, the Institute is proactively advocating by engaging policy makers and regulators through leadership projects aimed at influencing perspectives. Actively engaging on industry shaping discussion such as Uniform Fiduciary Duty and capital markets issues such as fintech regulation, the Institute is finding a seat at the table and better able to represent societies and Charterholders as a whole. 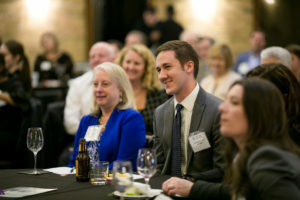 The CFA Society of Minnesota is a society that is well known for our programs, innovation, and engaged members. Sure, we already knew that but our strong midwestern sensibilities keep us from really acknowledging this fact, out loud (being transplants, we feel no uneasiness in highlighting!). We believe that the society is in an excellent position to benefit from this new initiative and provide new value and better experiences for our members. We are excited to explore what these new relationships mean to our local society and how we can leverage these additional resources from the Institute. Should the Compensation Survey be a national effort? How can we better engage with our Federal Reserve Bank? What type of professional education/career development do our members want? Is there a way we can give back to our community? These are just some of the questions that can be considered and we are looking for your voice in the discussion. Keep an eye out in coming weeks for additional information and a special request for your thoughts and interests! What Keeps CFA Charterholders Up At Night? What keeps you up at night? And what can CFA Society Minnesota do to help? About nine months ago, CFAMN engaged Spark Consulting to try to find out. The timing of the project was inspired by some technology changes the CFA Institute is making that will help the Societies and the Institute work together and share data better to help members like you achieve your most important goals and solve your most pressing problems. What do members need from CFAMN to continue to grow as financial professionals throughout their entire careers? What do members truly value in their relationship with CFAMN? What, if anything, is missing? Are members contributing to CFAMN in ways the Society isn’t aware of or recognizing? What can CFAMN do to intentionally build and strengthen the organization’s relationships with members, and members’ relationships with each other? How can CFAMN work more collaboratively with both the CFA Institute and the other Societies to better serve all charterholders? 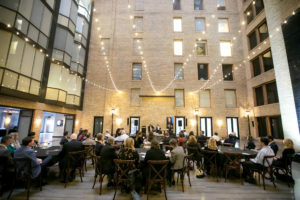 Over the course of the summer of 2017, Spark’s CEO Elizabeth Engel interviewed four members of the board of directors, 15 charterholders, and the Institute’s Society Relations staff; and spent two days in Minneapolis meeting with CFAMN’s staff, board of directors, and membership committee in person (she also had the opportunity to attend our summer social and learn about lawn bowling). Engel also reviewed CFAMN data, including the results of several years’ worth of member satisfaction surveys and event evaluations, the Society Data Book provided by the Institute, our current strategic goals, and member program use and other demographics over time. With regards to your needs, we were able to identify two programming gaps: members would like more programming for experienced professionals and more programming that’s accessible to non-Twin Cities members. Given that, we’re especially pleased to report that the overwhelming majority of you answer that question with a resounding “Yes!” The Society annually retains more than 94% of members, which is above the overall average for all Societies and for the Institute itself, where membership is required in order to continue to use the CFA designation. The Institute considers 95% retention to be “perfect,” so CFAMN is just about perfect on this measure. 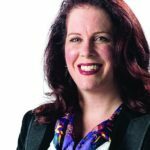 We’ll be running a short series of blog posts over the next two months or so, sharing some more findings from the project, allowing board of directors and committee members’ to tell you their thoughts and reactions, and discussing the roadmap of where CFAMN and the Institute plan to go next in helping you continue to advance, personally and professionally. The CFA Society of Minnesota hosted a panel discussion on the topic, Inclusion in Investment Management: Beyond Checking the Diversity Box on October 4, 2017. The panel was facilitated by Kim Brustuen, CFA, SVP and National Sales Manager – Corporate Treasury, US Bank with Colin Lundgren, CFA, Global Head of Fixed Income at Columbia Threadneedle, and Paul Smith, CFA, President and CEO of the CFA Institute, as panelists. 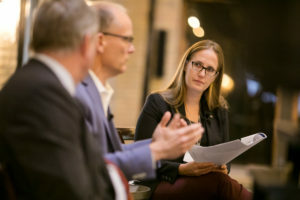 In response to questions prompted by Bruestuen and the audience, Lundgren and Smith articulated how Columbia Threadneedle and the CFA Society defined diversity within their respective organizations, how definitions vary across different global constituents, and how having a diverse talent pool has benefited the investment management community. Kim Brustuen referenced a McKinsey & Company white paper, Diversity Matters , in her comments and questions. The McKinsey paper cited analysis showing a statistically significant relationship between a more diverse leadership team and better financial performance. Much of the discussion centered on gender diversity and why, although strides have been made at entry level for women, there are still significant concerns about gender diversity in senior management. Paul Smith noted that female candidates outside the United States comprise a much larger percentage of candidates in the CFA Program. The discussion, in our opinion, prompted more questions than it answered, particularly with respect to diversity that is not gender related. The evening reinforced the value of deliberate inclusion of diverse thought and background while prompting the need to expand the discussion. I hope your summer is going well. I want to update you on a few items. As you may have noticed we are asking you to perform a few actions this summer – voting on our bylaws, renewing your membership and voting on our board candidates. We sincerely appreciate everyone who has taken the time to tackle all three issues, and I ask (actually beg and plead) the rest of you to make sure you participate in both votes and the membership renewal before our annual meeting on August 17th. I also want to raise an issue with you that I am sure you will hear discussed soon by the CFA Institute. The topic is Continuing Professional Development (CPD), aka continuing education. Currently as CFA Charterholders we are not required to do any CPD, though we are asked each year to certify that we have performed a minimal amount of CPD. 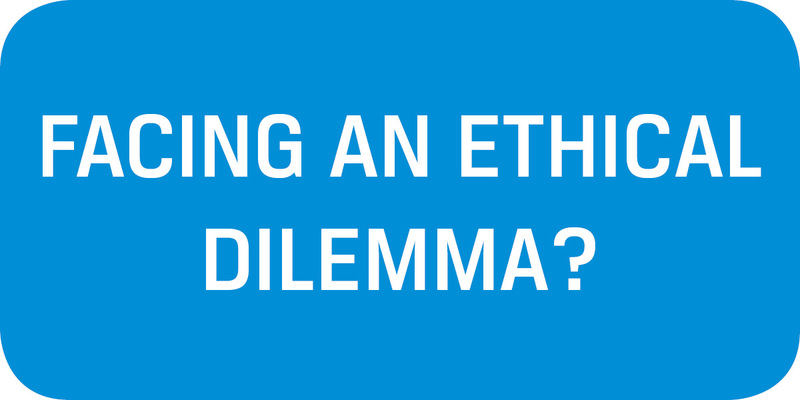 As members who hold other certifications can attest the CFA Institute is one of the few professional organizations in the world that does not require some kind of CPD. That was fine when we were a very small organization and nobody outside of investment management knew what CFA stood for, but now we are a global body of more than 100,000 charterholders, and work in roles that face clients and prospects much more frequently than we used to. Many of us get asked by clients and prospects to describe the rigor of the examinations, which is equal to or higher than most any other designation, but also to describe our continuing education program, which can be an embarrassing topic to address. The current President of the CFA Institute, Paul Smith, CFA has stated, on more than one occasion, that he wants to address CPD before he retires from his role. It has been a decade or more since we have addressed continuing education as a global body and it is a good time to revisit the issue. Many of the arguments against CPD in the past, such as the difficulty in recording credits (currently a manual process completed by CFAMN staff) and in finding events that qualify for CPD, are now being resolved by the Institute. The new member app and other technologies will make finding classes, articles and webinars that qualify for credit much easier, and will automatically record credits as you complete the reading or event, which together will make achieving your learning goals much less burdensome. Please let me know if you have thoughts or suggestions related to CPD and the best way to implement it if we move forward with a CPD requirement. 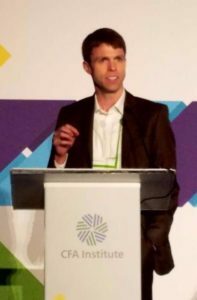 I just returned from the 2017 CFA Institute Society Leadership Conference, held this year in Philadelphia. 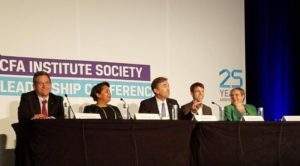 I have now attended seven Institute conferences for Society leaders over the past six years, covering both Society Leadership and America’s Regional conferences. It was also likely my last Society Leadership Conference, as I will finish my term as President of CFA Society Minnesota in August. The Society Leadership Conference is attended by 2-3 representatives from all of the CFA Societies around the world. It is one of my favorite things I get to do as a Society rep, as I love mingling with industry practitioners from Ireland, Vietnam, Argentina, Vancouver, Qatar, Germany, Australia, Shenzhen and dozens more countries and cities from around the world. Regardless of where we call home we have the shared experience of having taken (and passed) all three CFA exams, in English, on the first Saturday in June over the course of 3, 4 or 10 years. As I have mentioned in prior letters these conferences get better every year. The theme this year was “The Power of the Personal,” with many of the sessions focusing not just on Institute and Society initiatives but on personal and professional development. These sessions included training on delivering media interviews, improving presentation skills, and how to use mindfulness to improve health and job performance. It was a great combination of information and training for managing the local Society as well as improving my own professional skills. During the plenary session on Fr iday morning I was able to participate in a debate on the future of the profession. Besides myself, the debate included Society leaders from New Zealand, France and South Africa. The moderator was from Turkey, making it a truly global panel. The exact motion we debated was “This house believes that the investment profession as we know it will be obsolete in 10 years.” I represented the opposition, arguing that the profession will not be obsolete at that time. We had a lot of fun during the debate and it was a highlight of the conference for many attendees. It definitely spurred lots of interesting conversation afterward. Here is a summary of my argument. 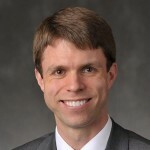 Despite the headlines of job losses in the industry, the flows from active to passive and the threat of artificial intelligence on analyst and research jobs, I believe that the investment profession’s core purposes of helping create wealth (by mobilizing capital to productive uses for future growth) and managing client savings, spending and financial risk through time will still be needed 10 years from now, and will still require human ingenuity and discernment. The only risk is that if the profession isn’t trusted and transparent parts of the industry may be killed off by regulation, technology and disintermediation. But if we work together to align incentives between asset owners, asset managers, savers and beneficiaries the profession as we know it will be even stronger 10 years from now. We will continue to gain more tools than ever to fulfill our duties as investment professionals, tools we should embrace. And if we use those tools properly I expect that the demand for our services will only grow over time, not become obsolete, and will also help create a better society. Have a differing view, or want to share your opinion on this motion? Please post a comment below. I look forward to reading your thoughts and ideas on the future of the investment profession.